ABQB is your source for QB information (Pro, college, high school). Former NFL QB Jeff Carlson trains QB's privately and in groups in Tampa, Florida year round @ AmericasBestQB@gmail.com or 813-789-9255. Join the discussion as he blogs on relevant QB topics. I am happy and proud to say that I am officially working for the Tampa Bay Buccaneers as a Football Development Coach. 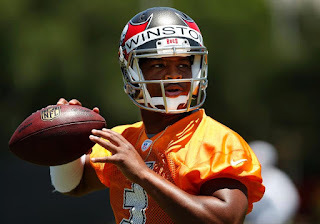 The Tampa Bay Buccaneers are officially kicking off their youth development program with their "Cannon Fire QB Clinic" July 25th!
! I can't wait to see this technology and how it can help ready players for the game! Will be updating here as more details about the Bucs Youth Development Program takes shape! 2015 Preparation Started Early This Year! 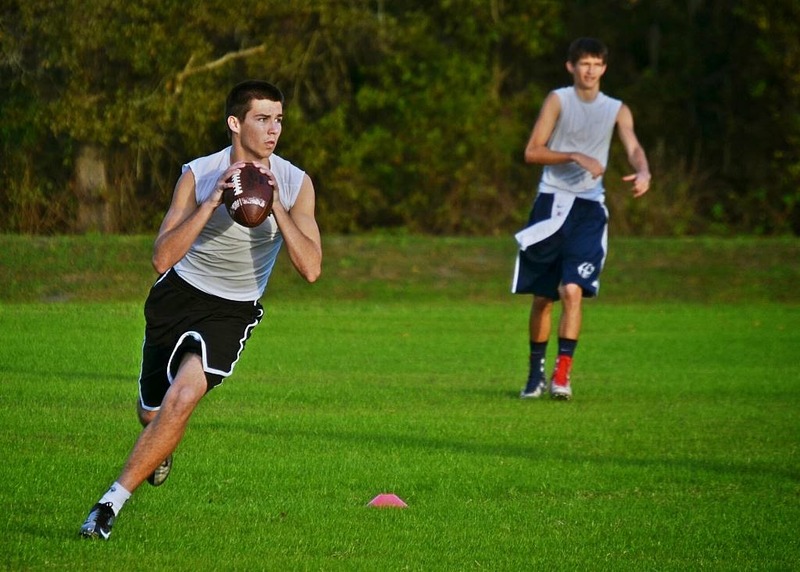 Rising senior Noah Johnson (Durant High) and friends wanted to get their preparation for 2015 started right away, so America's Best QB's are training every Sunday afternoon in Lutz, Florida. Contact us at AmericasBestQB@gmail.com if you would like to learn how to play the QB position at its best! QB Training Begins In January! Unlike previous years, we have started the new season of football training the Sunday following the Super Bowl. This year we will begin on Sunday January 11th. Youth QB's through middle school will train from 3 PM until 4:30 PM. High school QB's will train from 4:30 PM until 6 PM. Please contact Jeff Carlson at AmericasBestQB@gmail.com. A while back I posted that Tony Romo may be riding into the sunset, at least with the Cowboys, but in the first few games of this season, he has given the long-suffering Big D fans something to get excited about of late. After enduring a painful back injury last season, he seems to fully healed and having fun again, along with his teammates. A great running game will do that for you and has been getting fabulous support from his offensive line and a record-tying sixth 100 yard performance on the ground from DeMarco Murray to open the season! It really is good to see smiles all around from Jerry in the box, to Jason (Garrett) on the sideline as well as Jason (Whitten) on the field. It has been long enough for the most valuable NFL franchise to sputter around the lower half of the league. Now they are 5-1 and go up against their NFC East foe New York Giants, who have been as Jekyll and Hyde this season as any of the teams that can't figure out who they are going to be thus far in 2014, but don't be surprised if both Tony Romo and the Cowboys, like Mr. Hyde, revert back to their former selves and stub their toes along this long and winding season. When an NFL team makes their draft picks each year, the higher the pick, the more immediate impact is expected on the field this season. Second round picks are usually expected to get regular playing time, but not necessarily walk right into the starting spot. QB's are always an exception, with many more rookie first round picks expected to walk right into the starter's role, but this season year's crop of signal-callers seem to have gone back in time a bit and will get a small chance to develop before being thrown to the wolves. The New England Patriots took Jimmy Garappolo from Eastern Illinois in the second round, which immediately sent the media into a frenzy to see what incumbent super star Tom Brady thought of the selection. Brady is nearing the end of his career, whether he likes to think it is or not, but I wouldn't put it past one of the best pocket passers of all time, to extend it out further than most have been able to do. Ryan Mallett was a third round pick a few years ago and he looks to be on the move out of New England soon, leaving the small school Garappolo as the heir apparent even though Brady thinks Garappolo will be an old man before getting a chance to lead the Patriots from under center. With the media and behind the microphone following the draft, Brady was brilliant as he so often is on the field, saying that Bill Belichick is always interested in fielding the best team and that he (Belichick) doesn't care who is the quarterback. No whining or crying from Brady, just the acknowledgment that in the NFL, they are always looking for the next guy that can get the job done. Tom Brady turns off a lot of people around the country due to the appearance of his attitude on and off the field, but most of that is simple jealousy or just the competition factor of wishing their team could be his. In this case he was masterful at handling the media and many around the league can learn something from him when they are posed with the same challenge of a high draft pick. What Is America's Best Quarterback? 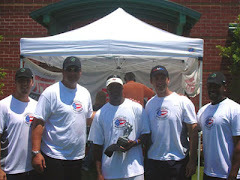 ABQB trains QB's of all ages and abilities in the best biomechanics of throwing the football. Many so-called QB Schools and camps simply put players through drills and make them tired, but just don't improve the physical skills of their players. ABQB (Jeff Carlson--former NFL QB) simplifies the mechanics that are necessary to becoming the very best passer possible and develops the mind of players to understand the what's and why's of offensive strategies. Weeknight and weekend appointments are available for individual sessions. Group training runs February through July in Tampa, Florida. Contact Jeff 813-789-9255.
Who is 2011's best in pro and college? Drafted 4th Round 1989 by Los Angeles Rams. Spent 1990 & 1991 with the Tampa Bay Buccaneers. Played for the New England Patriots in 1992. 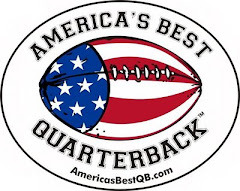 America's Best Quarterback, LLC 2011. Awesome Inc. theme. Powered by Blogger.